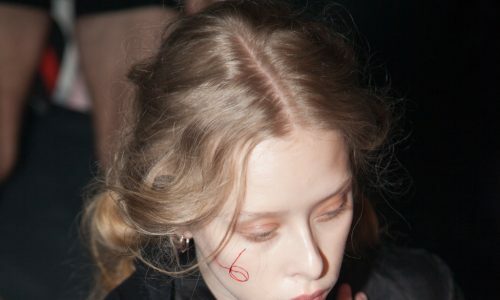 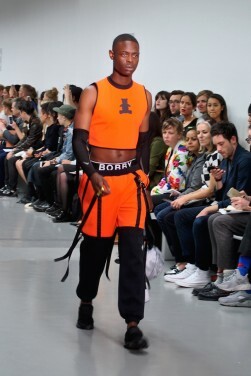 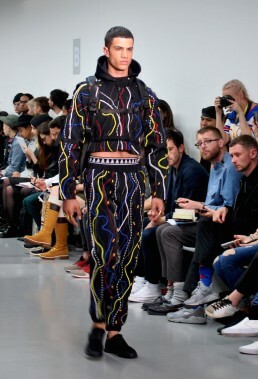 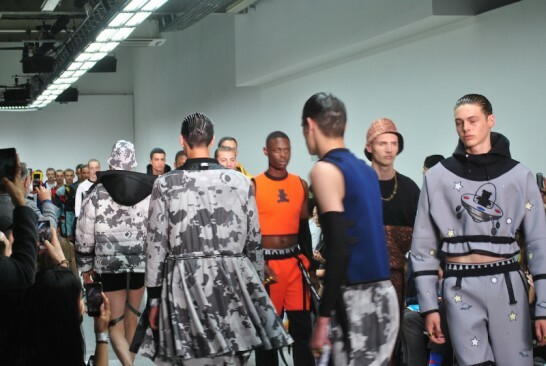 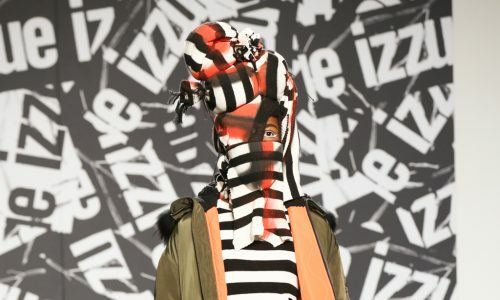 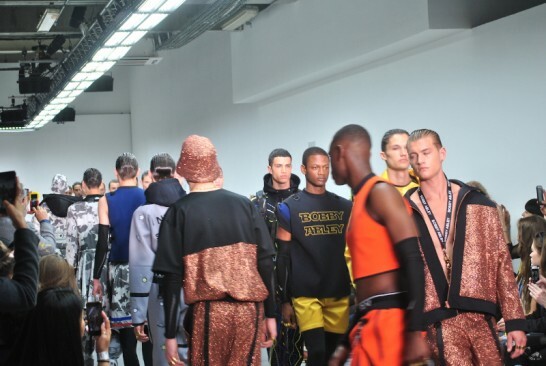 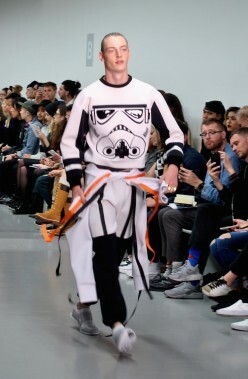 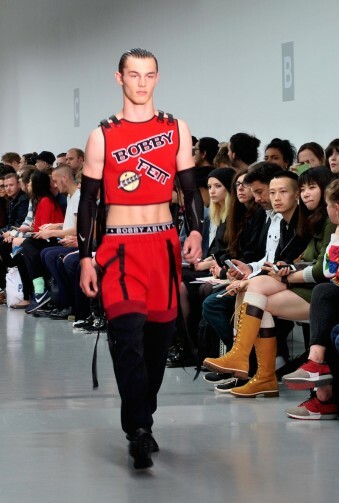 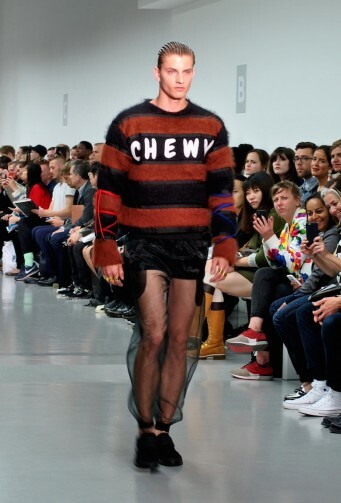 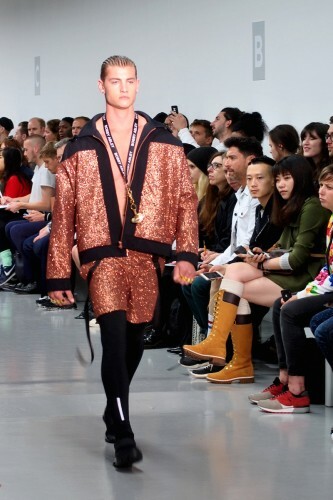 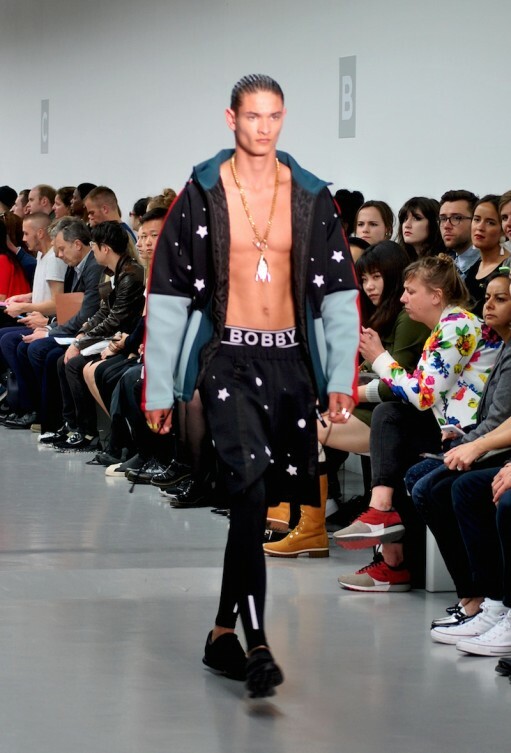 Bobby Abley knows how to get to people’s hearts: presenting a Star Wars-themed collection, there was no way he could go wrong. 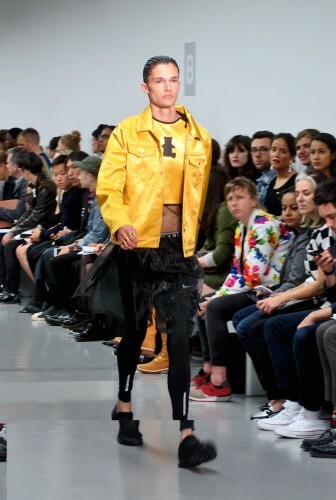 The crowd populating Victoria House this early afternoon was totally on fire as the different looks hit the runway one by one. 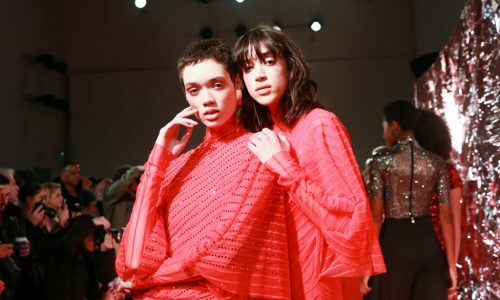 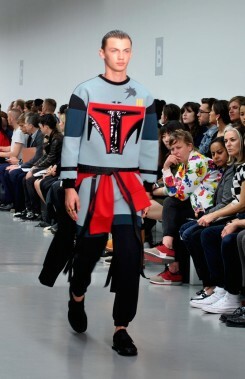 The designer is well-known for getting much of his inspiration from his childhood and in the year of the saga’s big return on screens, Star Wars had no rivals. 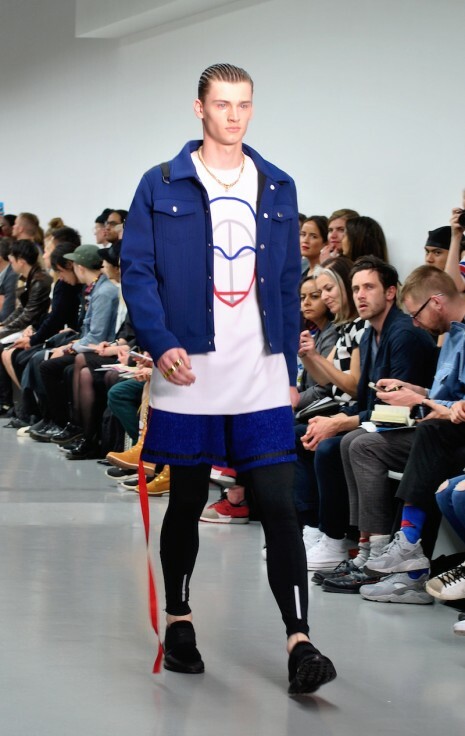 The spring/summer 2016 collection is street and fun, in perfect Abley-style, and of course his signature teddy bear figure doesn’t miss. 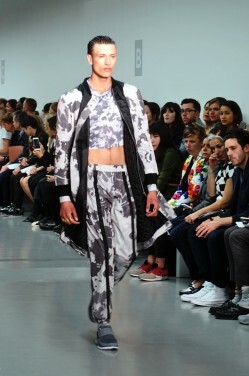 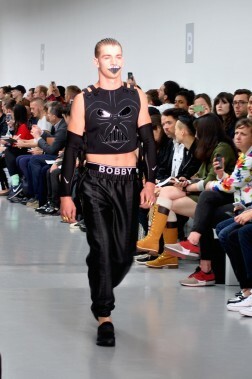 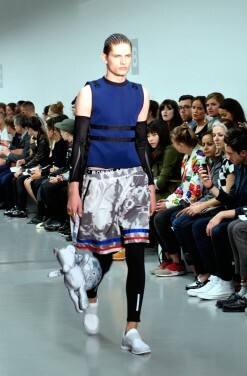 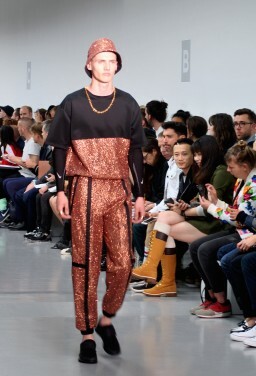 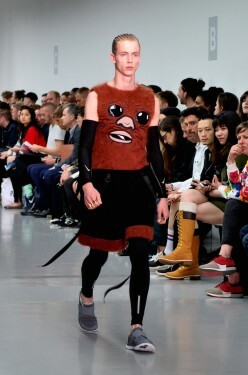 Abley’s hip-retro-futuristic man wore fluffy tops with Chubecca’s face on, as well as Stormtrooper and Darth Vader ones. 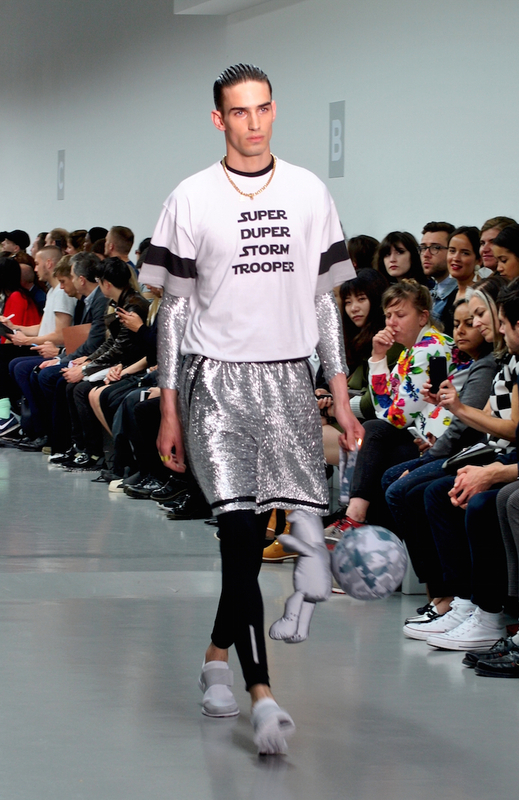 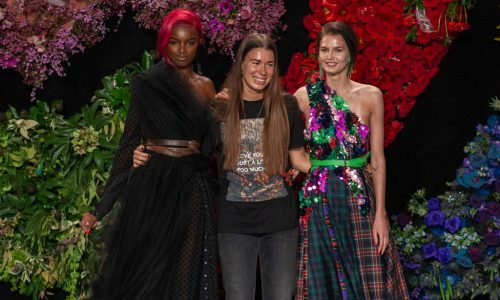 Tulle basket pants over leggings were shown alongside crop tops with star and spaceship prints; the “super duper Stormtrooper” gang was present, with golden chains and glittery sporty trousers. 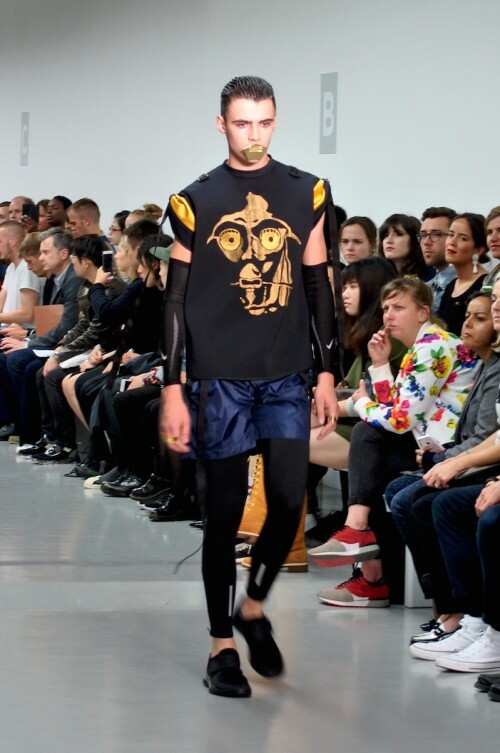 Particular attention is also given to the accessories, such as the camouflage helmet-shaped bags, shiny silver Darth Vader mouthpiece and the spaceship backpack. 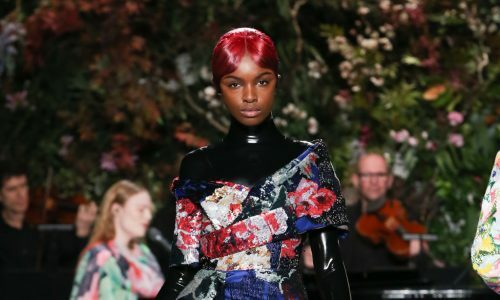 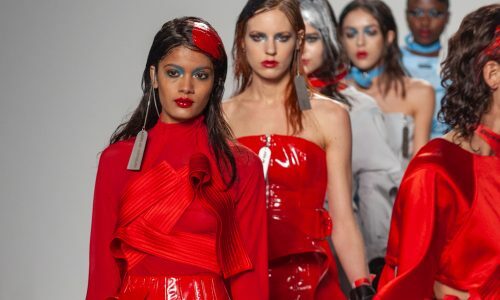 The designer also embraced the gender neutral trend; the most applauded moment was, in fact, when “Princess Slayer” dressed in all-white, entered the scene for the grand finale. Come to the dark side, we have glitter.